It is better to start anything than not to start at all. Rajesh Kumar Sharma, a grocery store owner in Delhi’s Shakarpur area, started his unfulfilled dream of becoming an engineer by opening “Free School: Under the Bridge” at the age of 39. It has been five years since 2011 and the school which was started with only two children has reached the mark of around 200. 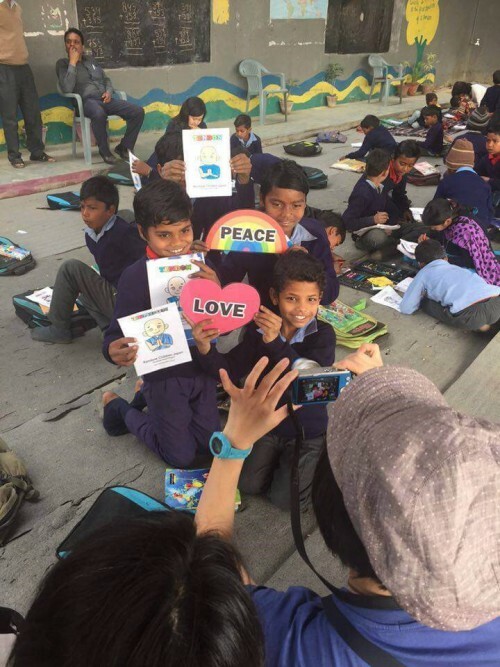 The informal 'Under the Bridge School' situated below the Yamuna Bank Metro Station flyover is itself an out of box convention. Life is more beautiful if you are the reason of someone’s smile. 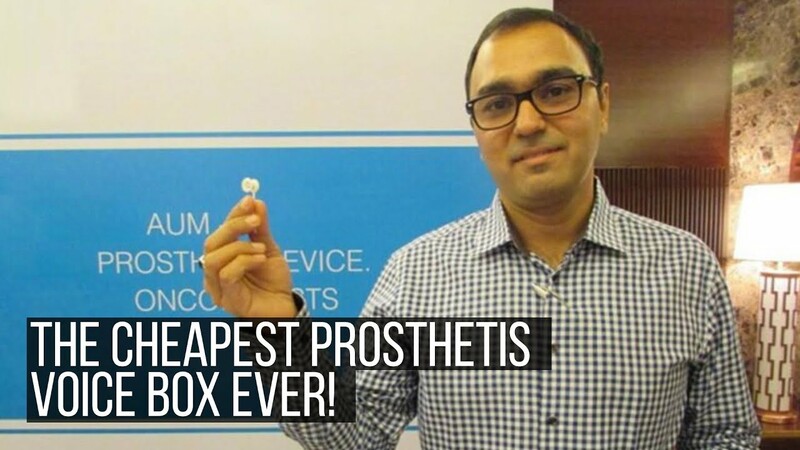 Rajesh Kumar Sharma has lived his whole life for the others. Rajesh, even being a good student has to drop out of his college in the 1st year only due to the financial crisis in the family. A man who wanted to be an Engineer was forced to run a shop to support his family’s condition. In an interview given to HT, he told that "Back in 1989, I had to drop out after the first year of college in Aligarh due to worsening financial condition of my family. 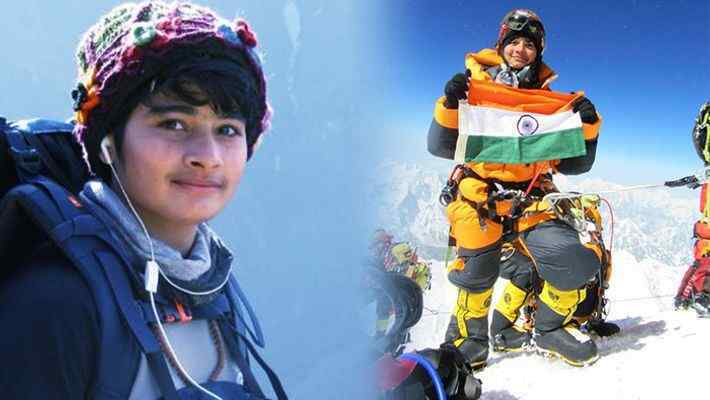 When I passed out of class 12 in the science stream, I too dreamt of becoming an engineer. That unfulfilled dream has turned into this school." As he could not fulfill his dream of completing education so that is what led him to give others a chance at an education and led to the formation of his school. 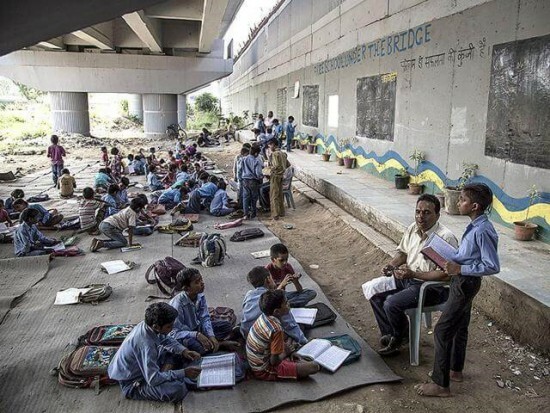 A school without any building, mats for students to sit, boundary walls of neighboring buildings used as blackboards and liberty to students to make the place more beautiful by their imagination is what constitutes Rajesh's school under the bridge near Delhi’s Shakarpur area. His greatest achievement is changing the attitude of student’s parents. Many of them were not ready to send their children to study but now with his initiative parents are willing to send them to school. He basically prepares the students for admission to government schools by teaching them the basics of every subject. Education is a necessity for everyone irrespective of cast, status and, religion. It does not only make us a well-being but also influences the whole society. Rajesh's school may be under a bridge with full of dirt and garbage, but he feels the need to continue his teaching until a small school is built for his students. We believe Rajesh with the support of NGOs and other like-minded people, can create a better society for underprivileged children as well. Rajesh has set up a ready-made toilet for girls with the financial help from some well-wishers and NGOs. 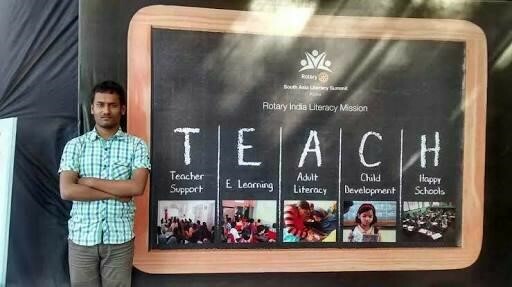 Following Rajesh’s footprint, two other teachers Laxmi Chandra and Shyam Mehto, both from Bihar have joined Rajesh in this great initiative. Rajesh Kumar Sharma’s school has been featured on the RYOT website. It is really interesting to know that the children remain unperturbed by the sound of trains passing by every few minutes. An anonymous individual is contributing a bag full of biscuits and fruit juice for the students every day.